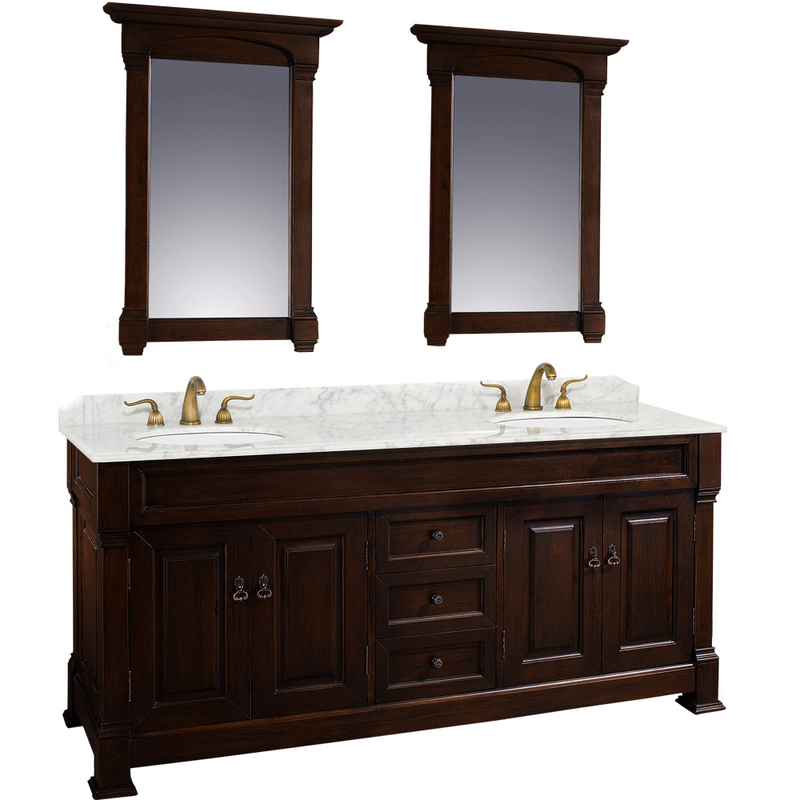 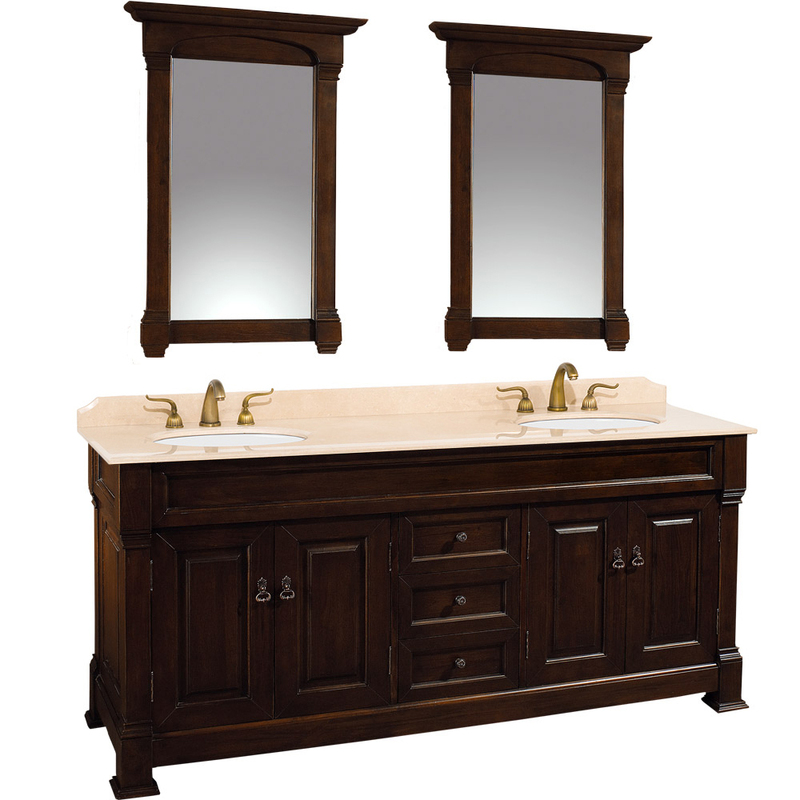 With its frame-like design and the warm Dark Cherry finish, the 72" Andover Double Vanity puts together a perfect traditional look for your bathroom. 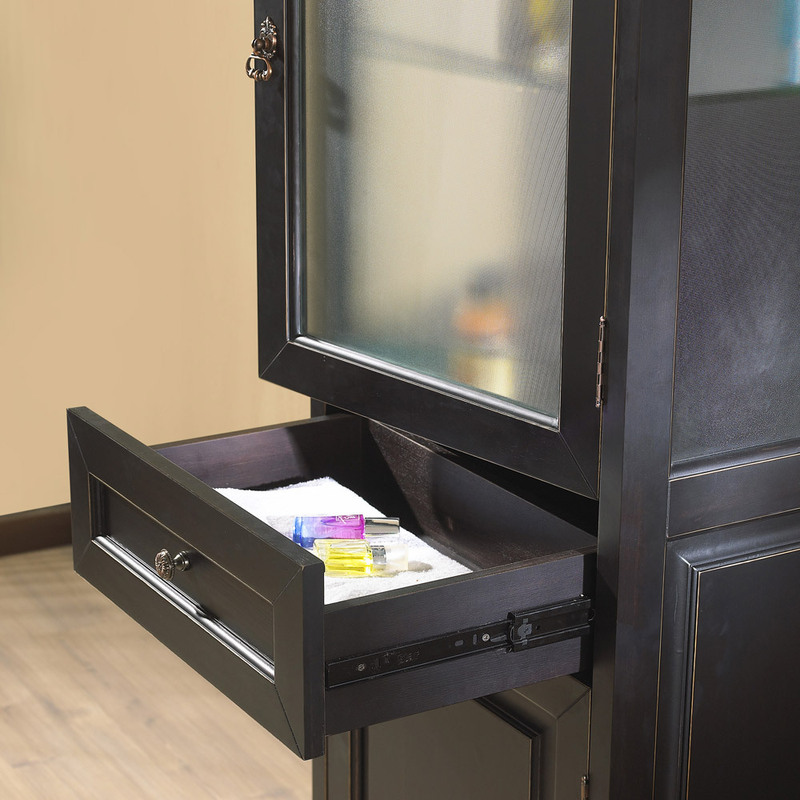 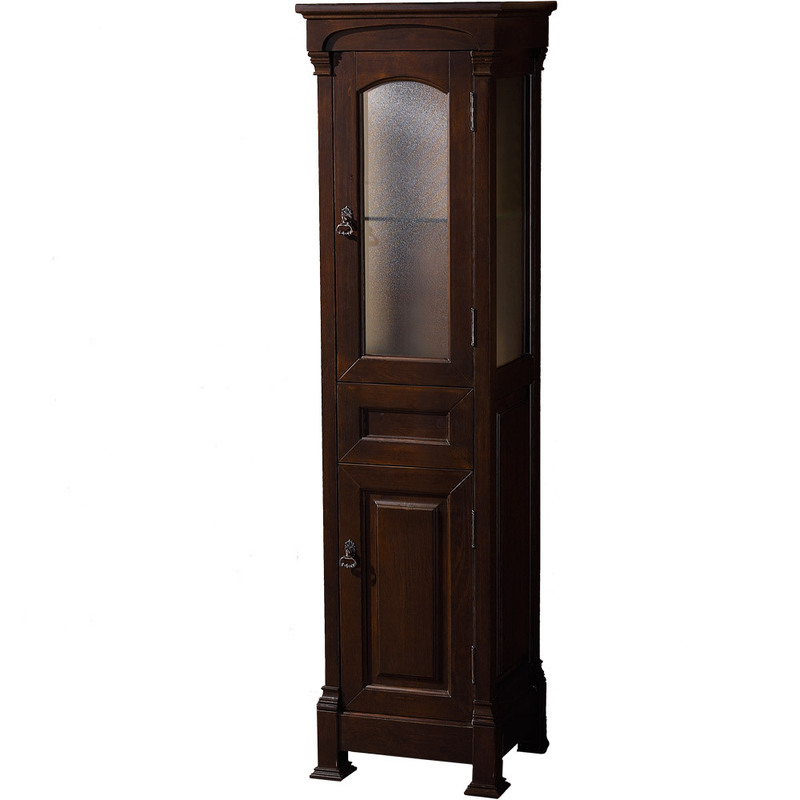 Constructed from solid oak, this cabinet offers two double-door cabinets and three functional drawers. 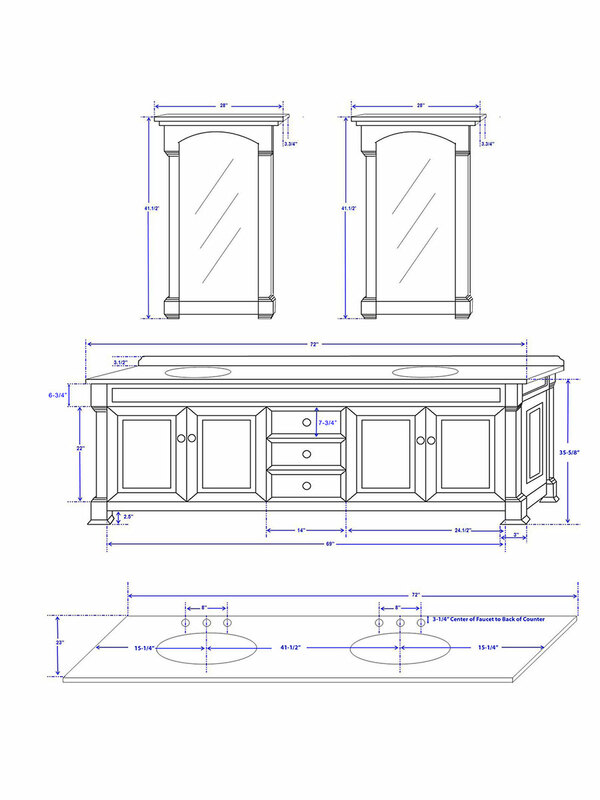 Two top options are available, both of which come included with porcelain undermount sinks. 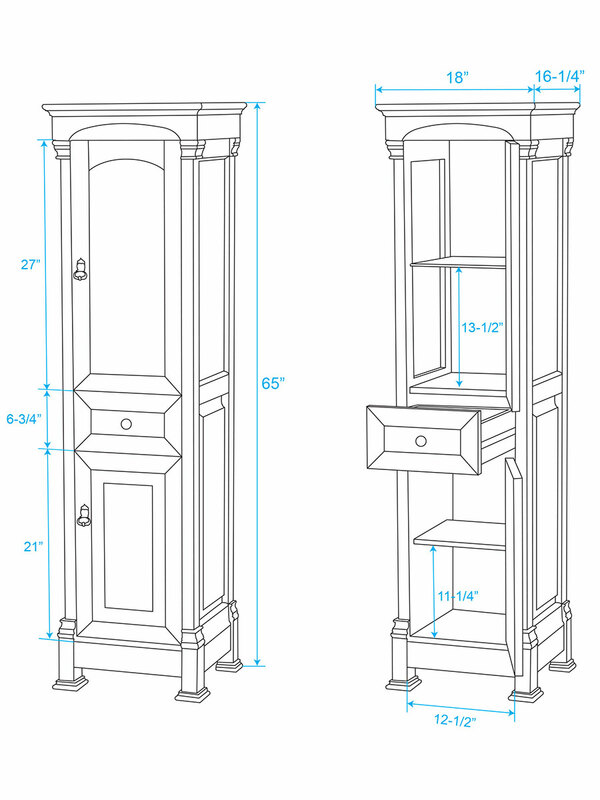 Two small matching mirrors are also included.